Huawei's sub-brand is releasing a Special Edition of the Honor Play next week - on August 1, to be precise. This will be offered in two color versions, black and red. Whichever you choose, you'll get a smartphone with an attractive back design that features laser engraved lines. Additionally, there are red accents for the rear camera setup and fingerprint scanner on both hues, as you can see from the promo image below. The camera has an added AI photography algorithm that provides five kinds of portrait lighting effects, for both front and rear shooters. And naturally GPU Turbo is built-in as well for better gaming performance. On the inside, the Honor Play Special Edition is identical to the vanilla Honor Play, which was announced last month. 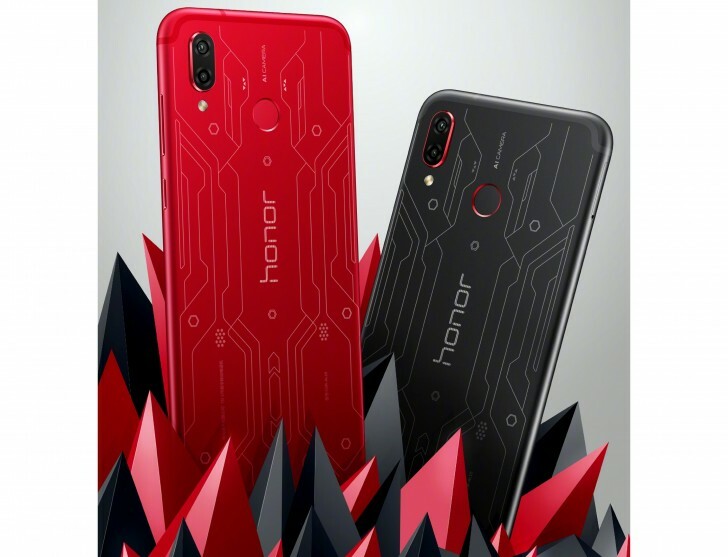 If you're in China and would like to purchase a laser-etched Honor Play, make sure you have CNY 2,499 ($366 or €314 at the current exchange rates) in your pocket and access Huawei's online store at 10:08 AM, when the sale starts.